For over 100 years, developmentally challenged people in Ontario were institutionalized, under occasionally appalling conditions, in three large regional centres. These centres are now closed but the lives and stories they held will soon see the light of day as class action suits have been approved and a trial date set. Sunday Edition's David Gutnick reports. The Huronia Regional Centre for the developmentally disabled in Orillia, Ont. What went on there in the last 40 years is now the subject of a class action suit. Earlier this month, Ontario Superior Court Justice Patrick Moore set a trial date, September 2013, for the first of a series of class actions suits against three, now shuttered, Ontario institutions for the developmentally disabled. Former residents, many of them now middle-aged, are alleging abuse and systemic mistreatment during the years in which they were institutionalized, often as children, in the 1950s, '60s and '70s. Government lawyers, in the hearings leading up to this point, said institutions like the former Huronia Regional Centre in Orillia, the first case to have a trial date, were managed "in accordance with the standard of care" of the time. But as David Gutnick reports, that standard of care is soon to come under intense scrutiny and the day-to-day lives of as many as 12,000 children and adults who lived behind locked doors, in a holdover from Victorian times, should finally see the light of day. His full documentary, "The gristle in the stew," can be heard Nov. 27 on CBC Radio One, The Sunday Edition, which begins at 9 a.m. (9:30 NL). 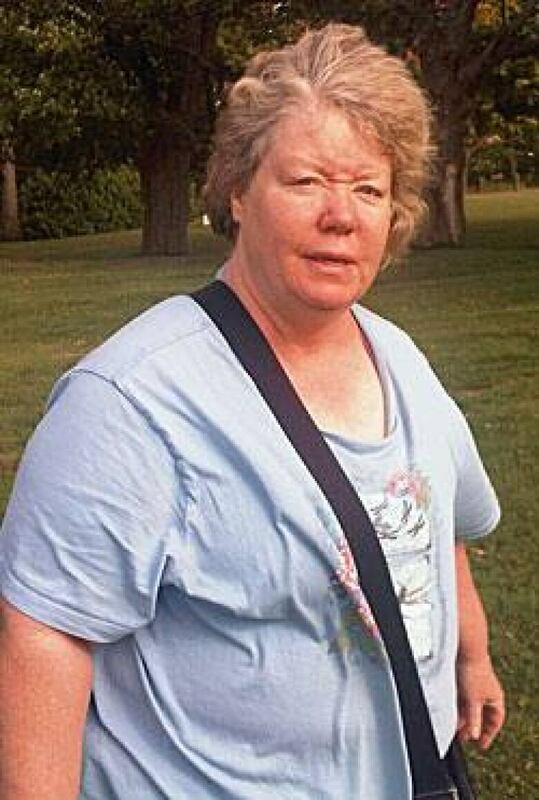 Patricia Seth is 53, a stocky woman, a little over five feet tall, with a mess of thick blond hair. This morning her black nylon purse is tightly zipped and strapped around her neck. She and her life-long friend, Marie Slark, are taking a day trip to Orillia, Ont., and the place they grew up, the Huronia Regional Centre for those with what we now call developmental disabilities. You don't mind going back? I ask. "I don't mind going back today," Patricia says. "It's going to bring back memories. But that should help with the class action suit." Patricia lived at Huronia for 14 years. Her parents dropped her off at the admissions office in 1964 when she was six and her whirly, frustrated energies were too much for them to handle. They were encouraged not to visit. "I always said to Mom and Dad, 'when can I come back home?' But they never gave me a straight answer. They said that I would be there until I died." 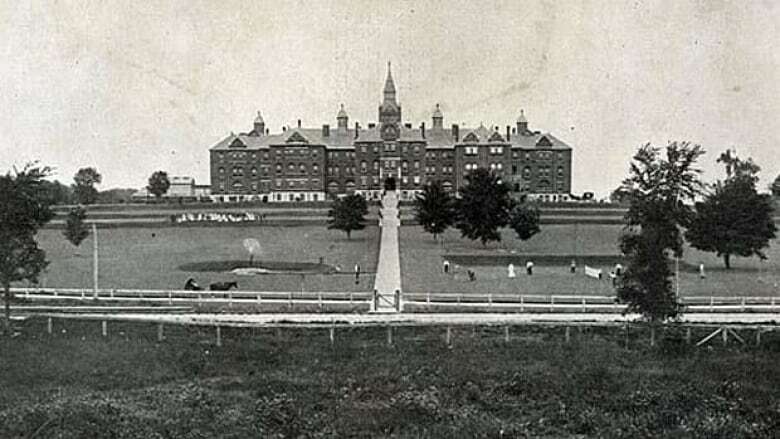 At that point, Huronia had been around since 1876, when it was called the Orillia Asylum for Idiots, the first institution in Ontario built for the developmentally handicapped. It was a victory for the eugenics movement, which wanted the disabled removed from mainstream society. Over the years, more and more parents were encouraged to send their disabled children to Orillia. It was what many parents did in the 1950s and '60s. There was even a government film to tell them it was OK.
Over time, shoe repair and sewing workshops were added. So was a nurses' residence, and a working farm with cows and chickens. It was Orillia's largest employer. Marie Slark arrived a few years later, when she was seven. She's 57 today. The two women have been friends for almost 50 years. Patricia's the energetic bold one. Marie is shy. When they were little girls they ate at the same long tables, ran around the same courtyard and slept in the same crowded dormitory. Now they have their names on the front page of the same class action lawsuit, setting out the physical and other abuse that they and potentially thousands of others like them suffered over decades at Ontario's three big regional institutions. The lawsuit tells of beatings, of being locked in dark cupboards for punishment, of being forced to lie on the ground, with a minder's foot on your back, while you looked for worms. These were not things that Patricia and Marie had ever wanted to talk about. In fact, they went out of their way not to tell people that they had been raised in an institution. Marie: 'When we went to the bathroom there were no dividers, we could see each other, you know, and if you even looked up and looked at them in the wrong way you had to scrub the floor on your hands and knees. Listen to a portion of their interview with CBC's David Gutnick. They left Huronia when they were 21. Patricia got married, then divorced, and moved to Toronto. Marie lived there too. She had a job, owned a car. They stayed in touch. They kept up as well with their former social worker, Marilyn Dolmage, whose younger brother Robert died in Huronia. Gradually, they would tell Marilyn and her husband Jim, a retired school teacher, their stories of growing up in Huronia. It was the Dolmages who encouraged them to talk to a lawyer, like one of those who helped negotiate the federal apology to aboriginal people over residential schools. "They have no way of getting in touch with their family members. They are subject to the complete authority and whim of those who are taking care of them, who decide how much they get to eat, who decide when they are punished. "Everybody is really quick to advise others, especially vulnerable people who have been treated badly by the state, to forget about it and just put it behind them. Most people don't do that. They expect that when they are treated badly by government to get treated fairly." Patricia and Marie began spending their days with lawyers, slowly digging back into their Huronia memories, adding details upon detail. "It was like it was a crime back then to be retarded," says Marie. Adds Pat, "We were sentenced for a crime we did not commit." Along with Patricia and Marie, there were more than 1,800 living at Huronia back then. All of them vulnerable, most of them children. And it wasn't as if the province didn't know there were problems. Kirk Baert: 'How far do you think the government would have gotten in the '50s, '60s and '70s if they had held people convicted of murder by the ankles and dunked them into bathwater full of ice cubes or forced them to scrub floors with toothbrushes or kicked them or punched them. In 1959, just a few years before Patricia and Marie arrived, the well-known journalist Pierre Berton paid a quiet visit and wrote about it in the Toronto Star. 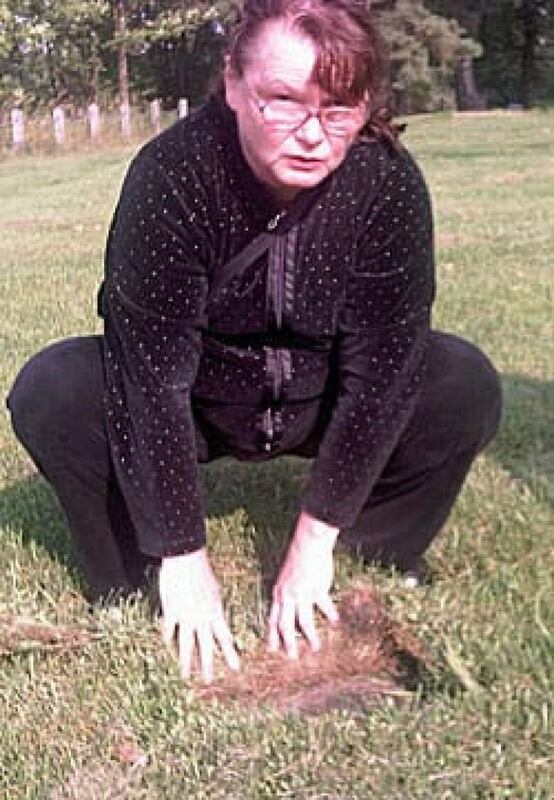 It was called "What's wrong at Orillia: Out of sight out of mnd." A friend was bringing his 12-year-old son Mark back after the Christmas holidays and Berton tagged along. He saw 90 beds crammed into a room built for 70. On one ward there was a bathtub, three showers and a row of eight toilets for 144 residents. Berton wrote that the "stench of urine and feces was appalling." He went on to say that the century-old buildings were firetraps and that dozens of children could die in a big blaze. Berton ended his article by noting that after Hitler fell, "many Germans excused themselves because they said they did not know what went on behind those walls. No one had told them. "Well," said Berton, "you have been told about Orillia." Berton's article ignited a debate over the treatment of the intellectually disabled in Ontario's institutions. The three institutions now facing class action suites are the former Rideau Regional Centre in Smith's Falls, Southwestern Regional Centre in Chatham and Huronia Regional Centre in Orillia, which was the last to be closed down in 2009. All three have now had their class action suits certified but only Huronia has a trial date set. At stake is approximately $3 billion in compensation and punitive damages, to be divided among roughly 12,000 former residents and their families, making it the largest legal action on behalf of the mentally disabled ever undertaken in Canada. The provincial government admitted there were problems and promised to invest more money and improve conditions. Then, in 1971, two intellectually impaired young men, both former residents of another Ontario institution died. Frederick Elijah Sanderson hanged himself; Jean Marie Martel froze to death. Public outrage was re-ignited and Toronto lawyer Walter Williston was appointed to write a report about the care and treatment of the intellectually disabled. He concluded that the entire system was outdated and broken and that "it was time for a century of failure and inhumanity to come to an end." It was, after all, a political minefield. Thousands of jobs would be lost. Families were terrified — where would their institutionalized family members now live? Who would pay their caregivers? Marie Slark, examining the plaques at the cemetery on the grounds of the Huronia Regional Centre. No names, just numbers. (David Gutnick/CBC) It took the province almost 40 years to shut down all its institutions for the mentally disabled. Huronia, the last of them, only closed in 2009. For the first time in 30 years Patricia and Marie are back inside. "Oh my God," says Patricia "This was the canteen. We came in this door from the outside sometimes … we would get a five cent bag of Cheesies. "We would get canteen money and be able to come to the canteen once a week, as a privilege." Before leaving Orillia this day, Patricia and Marie visit the Huronia Regional Centre cemetery. Row after row of crumbling plaques lie in the overgrown grass. Two thousand people are buried here. It is Patricia who points out the plaques are all numbered. The names are lost in time.